That’s the new tag line for Facebook market place. 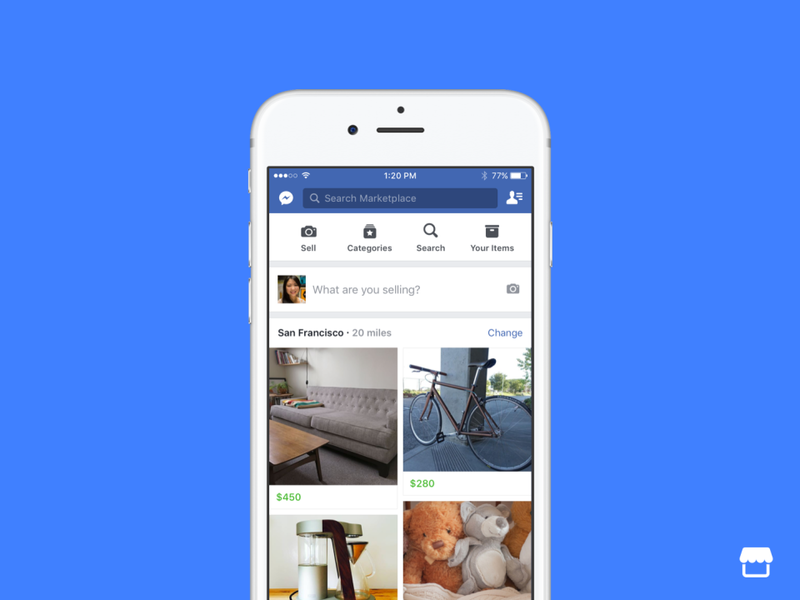 It’s going to launch soon in United States, UK, Australia and New Zealand and you’ll be able to sell and buy stuff from Facebook! Like craigslist, but it has over 1.7 billion users. That number alone does make the difference though. And you must be over 18 years old to be able to use the service. Make some cash using their platform soon!